Digital literacy involves any number of digital reading and writing techniques across multiple media forms. These media include words, texts, visual displays, motion graphics, audio, video, and multimodal forms. There are myriad cognitive processes at play, along a continuum from consumption to production when a reader is immersed with digital content as well as with print text. The purpose of this chapter is to (1) define digital literacy from multiple theoretical viewpoints, (2) illustrate how the definition continues to evolve in light of emerging technologies, and (3) discuss the cognitive, social, and affective dimensions of digital literacy as it is a key requirement in contemporary K-12 education. Spires and Bartlett (2012) have divided the various intellectual processes associated with digital literacy into three categories: (a) locating and consuming digital content, (b) creating digital content, and (c) communicating digital content (see Figure 1). Learners must develop evaluative dispositions as they navigate digital content. A discerning mindset is essential in order to interact with online resources with accuracy. Without critical evaluation, the learner may easily be directed by the technology rather than the learner directing the inquiry. It is essential to develop the skills to locate, comprehend and consume digital content on the Web. Central to being effective with the Web is strategically searching for information and evaluating its accuracy and relevancy (Leu et al., 2008). 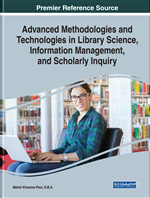 There is consensus that effective Web search skills must be developed for educational success in a digital society, and instruments such as The Teaching Internet Comprehension to Adolescents (TICA) checklist can ensure that students have the necessary prerequisite Web search skills (Leu et al., 2008). However, more challenging is how to incorporate the effective teaching and development of Web search skills in the classroom (Moraveji et al., 2011). Nevertheless, some important skills are considered necessary for locating and using digital content: domain knowledge, a working knowledge of how to use search engines, basic literacy skills, and a general knowledge of resources available on the Web (Moraveji et al., 2011). In addition to building on the ability to craft productive Web search terms, search lessons should involve direct modeling of the use of search techniques, differentiating between domain names, and querying sites for accuracy and transparency.